I spent Columbus Day weekend on the Imnaha River. It was my first trip to the area and a memorable one indeed! This part of NE Oregon is wild and breathtaking. The drive from the town of Imnaha is not for those (like myself) that get carsick. It's a LONG, windy, bumpy, narrow - and surprisingly traffic heavy piece of road but if you carry enough candied ginger and stop regularly to take pictures, it's well worth the drive! The cliffs of columnar basalt and pillow rock, the dal sheep and bighorns and ruggedness of the land is just remarkable! There are century old farmsteads along the river - so remote and idyllic but that's a really long way to drive a hay truck! After a crazy busy week at work, I found myself dreaming about living in that kind of pastoral isolation and peacefully tending my cabbage plants. It's a nice dream, but the only reason I was there was to catch a fish! I caught my first Wild Steelhead on a fly, an itsy bitsy fly in fact! I can't even honestly call myself a fisherwoman yet. My casts are inconsistent- although at times quite marvelous- and my feet get really, really cold still when standing in 34 degree water for over an hour- even with the fabulous neoprene waders and fancy fly fishin' boots. I may look good but my feet get COLD!! I took over 100 photos of the river, the canyon and the fishin'. The poison ivy was brilliant red and is actually really beautiful this time of year! I've attached my Imnaha Photo Albumn for your to check out, just click the photo to the top right side of the blog! The steelhead that made my day was about 28 inches long, bright and wild- so she's still there in the Imnaha where she belongs. I hooked several more, didn't set the hook more than a couple of times and lost a huge one but got a great photo before it took my fly and swam away! Anyways, it was a quick planned trip- didn't even pack my gas burner and little stove-top espresso (a mistake I will not repeat!) - but we picnic'd like royalty and stayed toasty warm in the tent with layers of quilts atop our down sleeping bags. I took a 'box' of the Green Path Organic Australian Shiraz, Oregon Raw Milk Cheddar, Emerald Valley Hummus and roasted Hazelnuts. 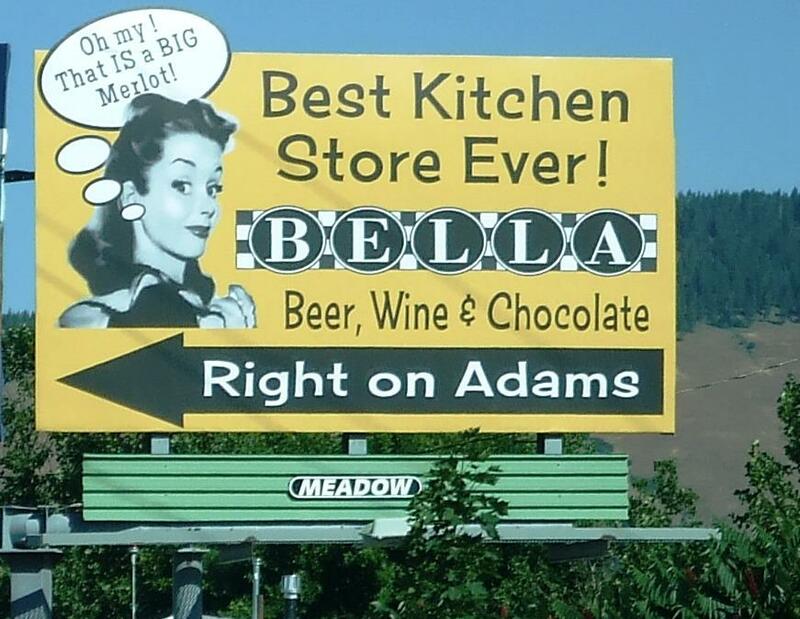 Great food, excellent wine and no glass bottle to haul back! This year has been an amazing one for Oregon fishing! The limits have been increased on the Grande Ronde River because of the incredible number of fish making their way up the rivers. It's been an incredibly lucky season for me! This picture is one of my 'old favorites' from 1963- I was always the camp cook it seems. Uncle Don caught this image of my cousins Bryan and Janae with their catch of the day as I stand there with those glorious chipmunk cheeks and a frying pan in my hand. I especially love the BandAids on Janae's forehead! Ah yes, I remember it well! 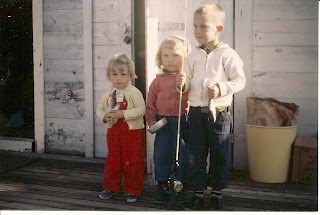 Fishing trips with you and your cousins at the cabin on Scofield. And I loved those chipmunk cheeks! Those are gorgeous pictures of your fishing trip, and it looks like you were both having a ball. Nice catch for your first steelhead! And it's nice that she'll still be there waiting for you on your next fishing trip too.